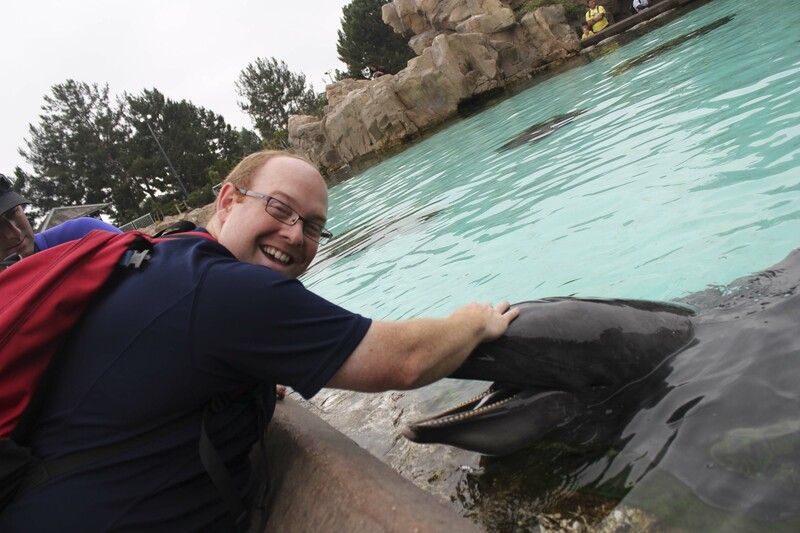 With unparalleled up-close sea-life encounters, a variety of shows, and thrilling rides SeaWorld, San Diego brought me back to childhood and showed me what I was lookin for. By petting and feeding the dolphins, swimming with the beluga whales, and celebrating life underneath the sea through splashy spectaculars featuring killer whales, pilot whales, and dolphins, we dove into the exhilaration life under the sea. 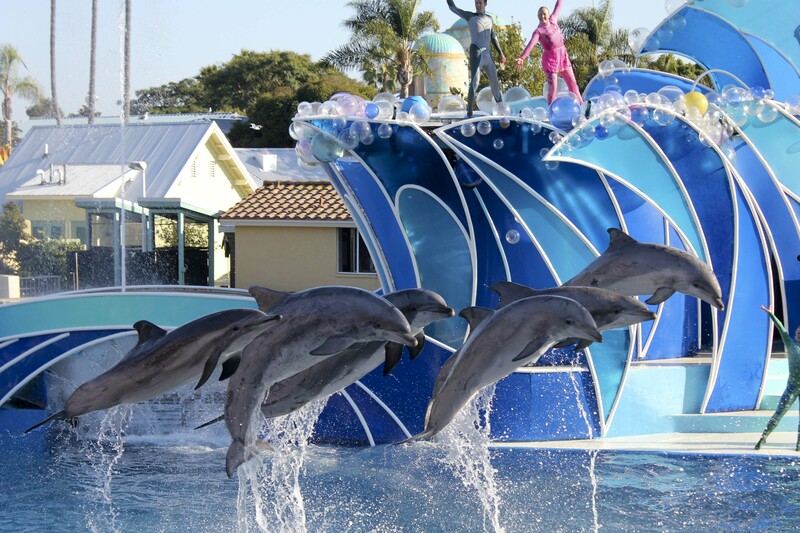 Our early morning dolphin encounter set the stage for a magical day at SeaWorld. 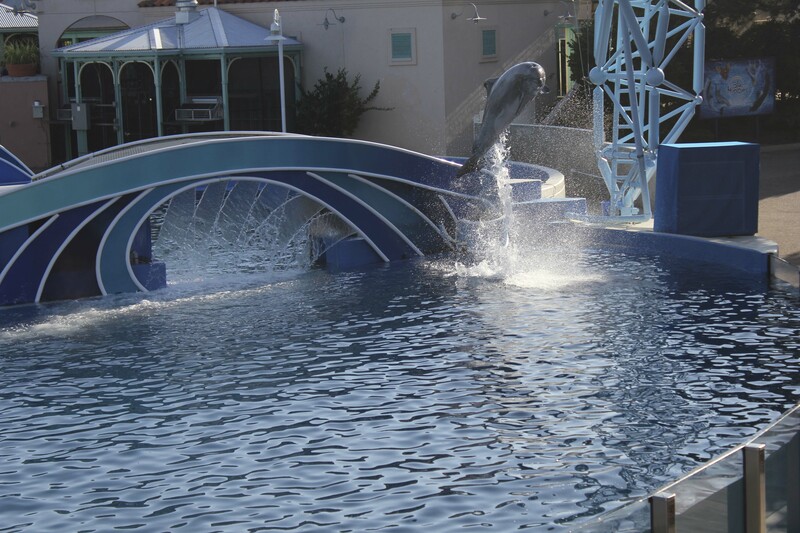 We were brought poolside to curious and playful bottlenose dolphins to enjoy an up-close-and-personal experience. It is only during designated times throughout the day that this dolphin encounter is actually possible so I was grateful for reading the Insider Tips beforehand. 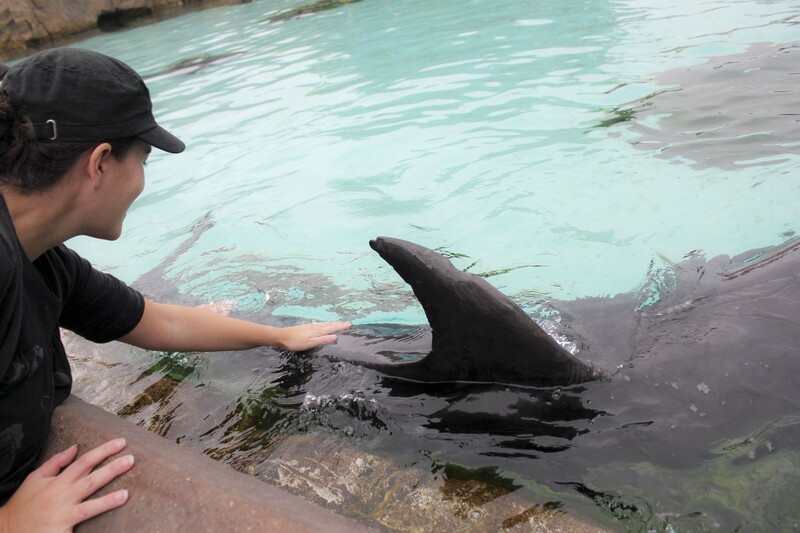 For only $6, our trainer-guided encounter allowed us to touch and feed dolphins for almost five minutes. We instantly became part of the SeaWorld environment. 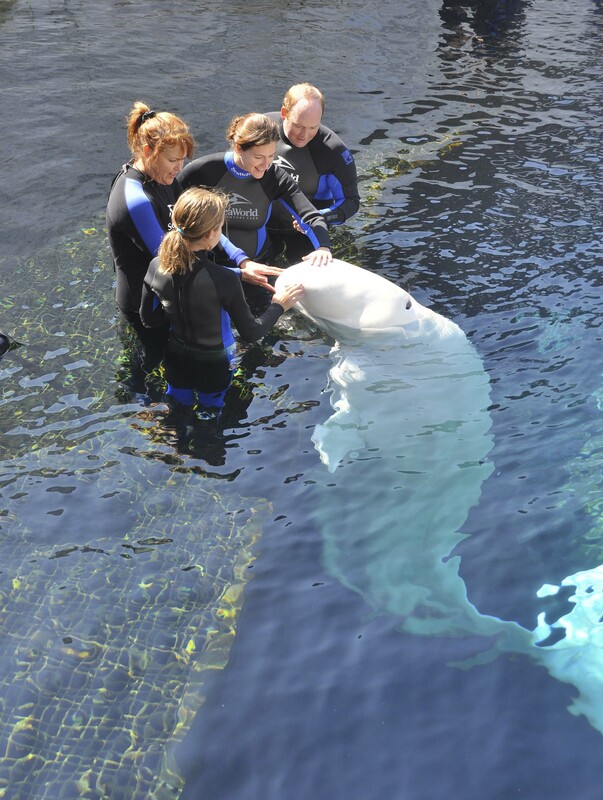 Beluga whales are the gentle giants of the sea and I had the opportunity of a lifetime to interact with these beautiful creatures during the Beluga Interaction Program. These attentive animals played and interacted with their surroundings and us, seeming almost more timid than I felt. It was a little unnerving standing next to such large mammals, but they were so docile and playful, I quickly learned to relax and enjoy the unique experience. They were like little children. They loved to play, they loved attention, and they loved to be pet and rubbed. They spun in place, floated on their backs, gave kisses on the cheek, waved, and made a variety of noises, depending on the hand signal. With only eight slots per beluga session, it was an intimate experience that I will not soon forget. Few places in the world offer such an up-close, unique interaction with these animals. 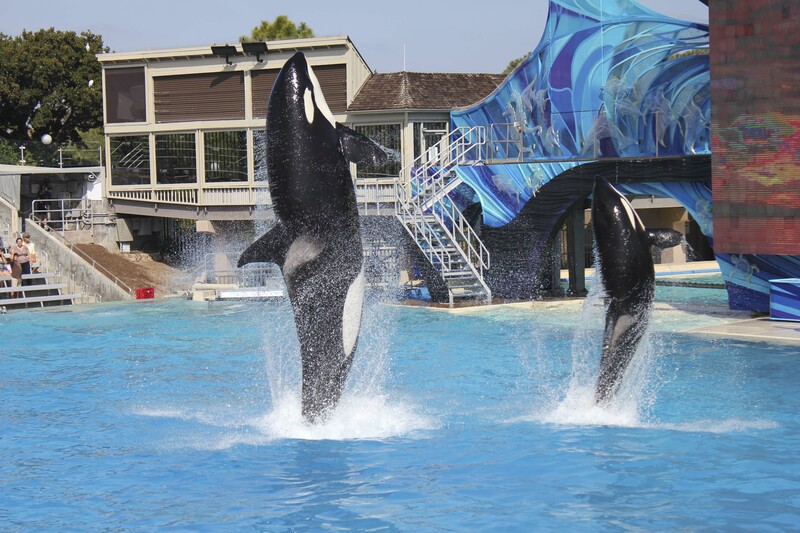 The Shamu show, One Ocean was a big splash! The energy and spirit of the ocean was enveloped in a multi-sensory celebration of the sea. Majestic killer whales joined us on a journey into a world that drenched our senses, and our clothes, in the rhythm of the ocean. Watching their playful nature and graceful movements reminded me of an ice skater. At any moment, a twirl, leap, spin, or jump could happen with complete control and fluidity. Their elegance was truly unfathomable considering their massive size, yet anything was possible. My limited adult imagination diminished with each splash of water. I became a child who believed in the breathtaking grace of flying whales. The juxtaposition of diverse worlds in Blue Horizons, where dolphins flew, birds dove, and people swam, created a parallel universe where humans, birds, dolphins, and pilot whales were fused into a display of dance, flight, and entertainment. What started out as mundane human interaction in the beginning led to Cirque-like acrobatics and dolphin tricks including midair summersaults. Although it didn’t hold a candle to One Ocean, I certainly didn’t feel like I wasted my time with Blue Horizons. The dolphins stole the show and brought a vibrant, mesmerizing energy to the stage, regardless of the lackluster human appearance. A new attraction called Turtle Reef allowed us to get an up-close look at more than 60 threatened and endangered sea turtles and thousands of tropical fish. 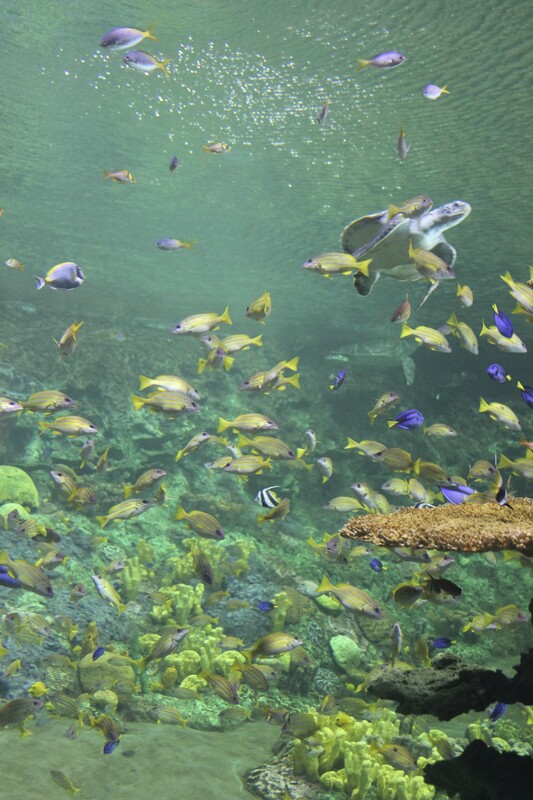 A 300,000-gallon coral reef themed habitat featured adult sea turtles, some more than 50 years old, tropical fish, and juvenile green sea turtles that hatched at the park in 2009. 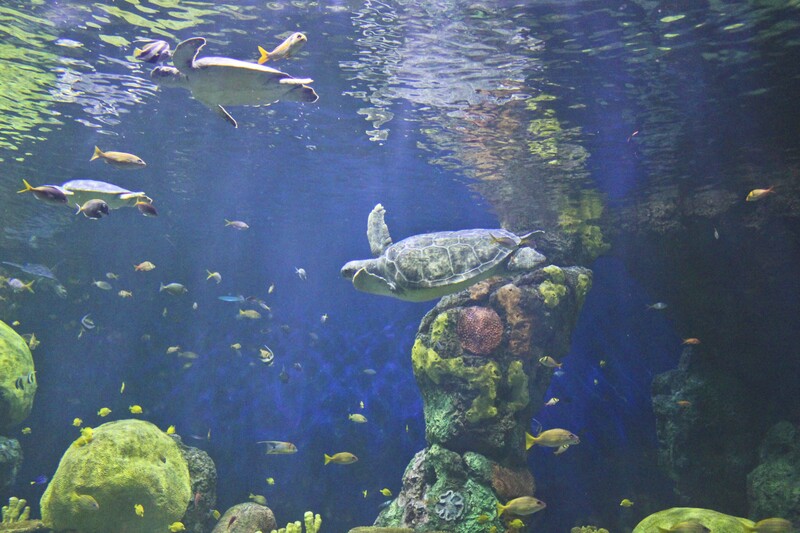 The larger than life habitat immersed us in the world and life of a turtle, leaving nothing to the imagination. It unfolded before our very eyes. 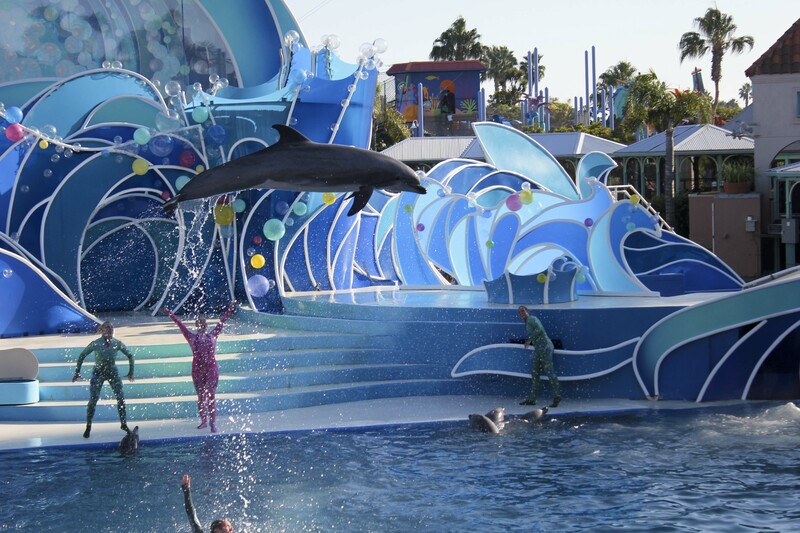 SeaWorld is one of the most popular marine-life parks in the world. When you’re thinking about the high cost for visiting the park, remember that their focus on education, entertainment, research and conservation make SeaWorld a great place to learn about, enjoy, and gain an appreciation for some of the ocean’s most fascinating animals. This entry was posted in Adventure, California, California Entertainment, San Diego, Travel, Uncategorized, USA, vacation and tagged adventure, California, Family, life, San Diego, Sea World, travel, USA, vacation by lesleycarter. Bookmark the permalink. Thank you for visiting my blog today, Lesley. What awesomeness you have here. I have liked your Facebook page, and I hope you will come back and do the same for mine. I will enjoy following this blog and finding some new adventures. 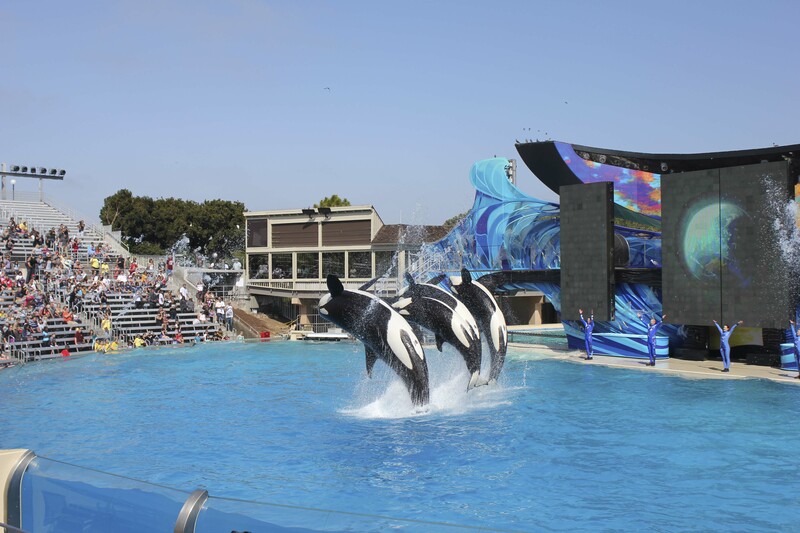 i was there in april, i love san diego and seaworld is so much fun! The whole experience was a total blast! I think I enjoyed it as much as most of the children. San Diego is great, and so are your photos! The tank with the turtles is really pretty. Great pictures. It’s amazing how much there is to see now in the world’s better aquariums and zoos. The price of admission, for the facilities that specialize in conservation, is worth it in the good they do for the world’s animal populations. Sea World is a world leader in their field. Great images to match a well-written article. Cheers! Another very cool thing to do! Love the photos of Sea World San Diego. I was wondering if they are going to do a swim with the dolphins program there, but I guess not yet. 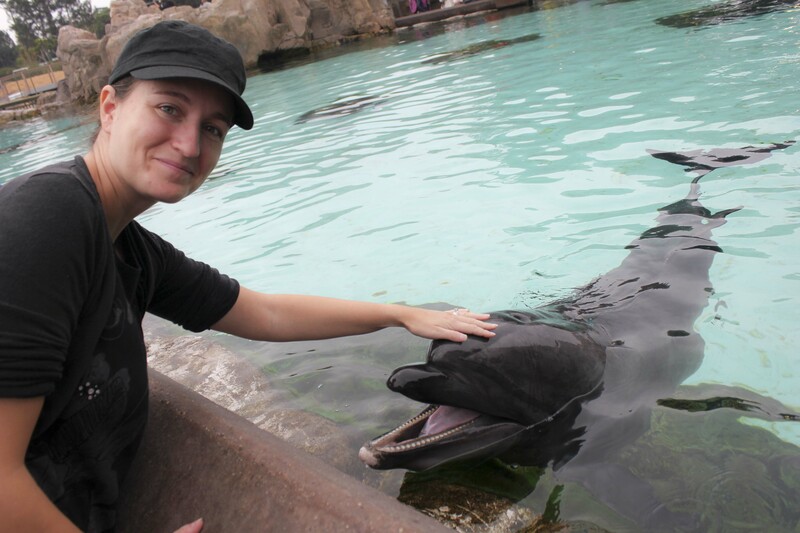 The dolphin encounter is always a good start. Keep up the nice blog. If you give it a try, let me know. I love to travel but your photos make my next journey, being a parent, all that more exciting. Seeing their precious fingers and toes and the expressions on their faces is the most beautiful image in the world. I especially love Baby Hailey Sophia! Born September 13th, 2011. The first picture of her yawning brings tears of joy to my eyes. I noticed you checking out my BLOG and I am doing the same here…love your spirit and BLOG! Looks like you had a great time. I wish I could visit this place soon. Great Tip. I’ll keep that in mind. Wanted to let you know you’ve been tagged, so go to http://unklehookd.wordpress.com for more info, that is if you want to, my dear!